The Day Canada lost a little piece of its Magic! From now on actual cash purchases will be rounded out to the nearest 0 – nickel – or dime, and retail stores will not have to accept our Penny at all. Meanwhile the Mint will be doing its best to take the estimated 6 billion coins out of circulation; a momentous task that could take up to 4 years. Now I understand the logic behind it, I really do; by not producing a 1 cent coin that costs 1.6 cents to make, we will save 11 million dollars per year. But is it truly worth it? 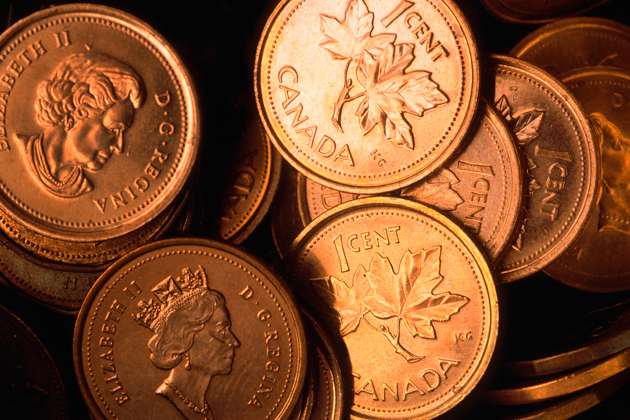 To many of us our Penny, complete with its beautiful bronze maple leaf, is a constant reminder of being Canadian. It’s something we always have laying around on desks, in drawers and jars, and constantly gets in the way until we really need it. It offers a sense of history, familiarity and sharing (take a penny – leave a penny). If I seem a tad overly sentimental it is for good reason. A magical reason. As one who started studying the art of magic at the tender age of 8 (I wasted my first seven years) the precious Penny is one of the first props I learned my skills with. Along with a very worn deck of cards I spent hours practicing making these coins appear, disappear, multiply and even transform into nickels and dimes (I couldn’t afford quarters in those days). Where ever I went I always made sure I had my magical Pennies with me if ever I was asked to perform. To me they were magic! And now they will be gone, as will a little piece of Canadian and magical history. Well life does go on and things must change. But no matter what happens to our Penny I will still hold it in high esteem in my memory and my heart (and in jars on my desk). And that after all that is where real magic does happen. PS: Well at least there not messing with our $20 bills!